Actors, pop stars and national leaders have taken a break to relax in Italy this summer. But which global superstars are just enjoying the scenery and who is house-hunting? This summer, Prime Minister Theresa May, accompanied by her husband, escaped the pressures of Brexit discussions by taking a relaxing break in Sirmione, in the province of Brescia. Set on a peninsula that stretches into Lake Garda, Sirmione has a charming old town, and is famous for its thermal baths, churches, castle and the ruins of poet Catallus’s Roman villa. The couple stayed at the lavish Villa Cortine Palace Hotel, a hillside residence on the banks of Lake Garda from where they visited other nearby resorts, such as Desenzano del Garda. The Brescia province was also a favourite of Sir Winston Churchill. 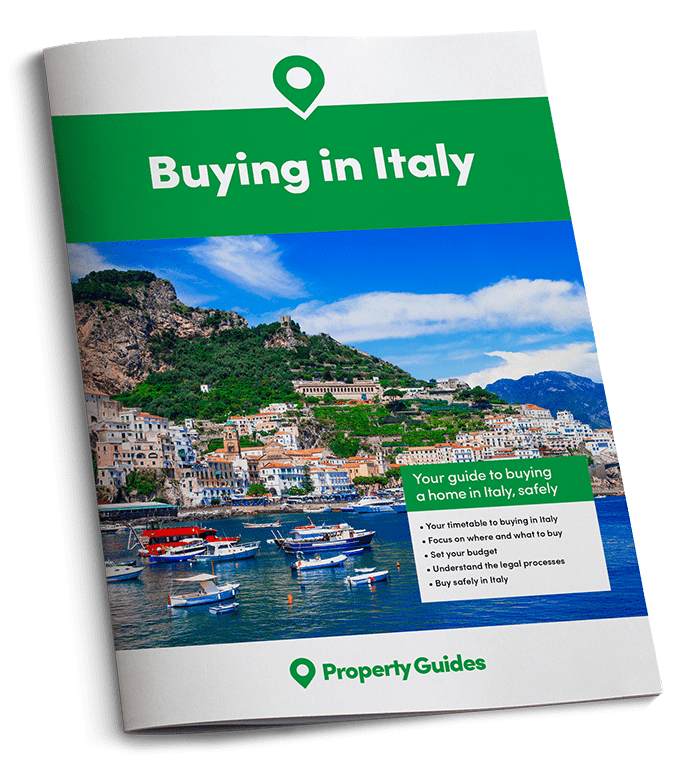 As well as Lake Garda the province also borders the smaller Lake Iseo, which is increasing in popularity with house buyers. It’s possible to buy lake view apartments in Brescia for as little as 150,000. Not to be forgotten is George Clooney’s recent family holiday at his villa on the banks of Lake Como. Since buying the property the area has become very popular with celebrities. Viewed from the lake, the elegant villas are a luxurious back drop to a stage set of gardens and landing platforms. 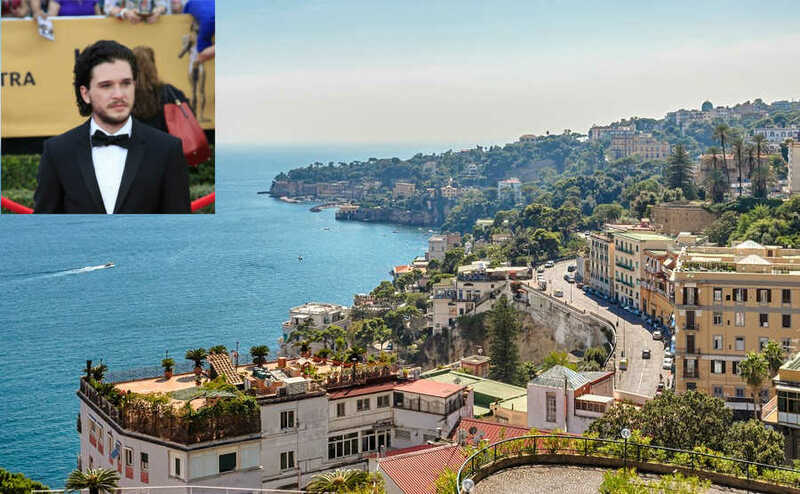 Mick Jagger, Kylie Minogue, Robert De Niro, Avril Lavigne and Sir Richard Branson have all been spotted on the shores of Lake Como, but you don’t necessarily have to be wealthy to buy a property with a panoramic view of one of the lakes. Dame Helen Mirren, referred to in the Italian press as “Regina” due to her film role as the Queen, owns a masseria farmhouse with pomegranate and olive trees in Tiggiano, Lecce, Puglia. She was over in early August, and during her holiday she visited some of the age-old olive trees in the hamlet of Vernole di Strudà, Lecce. One of these trees is also nicknamed “Regina” as it is reportedly 2,000 years old. It is hoped that Helen Mirren’s visit will raise awareness of the plight of the olive trees affected by the killer bacterium Xylella. Who knows, they may even be tempted to buy one of the charming country houses with olive groves that are for sale in the Lecce area. This month, Puglia also received a return visit from the Queen of Pop, Madonna, accompanied by her children. Once again, she stayed at the luxurious Borgo Egnazia, a 5-star hotel laid out like a small village. She celebrated her birthday with traditional Puglian music and dancers, sharing videos of the occasion on Instagram. The hotel is in the province of Fasano near the Adriatic sea of Savelletri, which lies midway between the airports of Brindisi and Bari. The area is becoming much sought-after by foreign buyers who have fallen for the charms of trulli and masserie houses. Hugh Jackman has also stayed at the resort this year and back in 2012 Justin Timberlake and Jessica Biel held their wedding here. Another actor spotted in Puglia is Matt Dillon, who was seen visiting Lecce and Gallipoli. It is also rumoured that Tom Hanks will be staying at Ostuni later in the summer. Puglia has a way of weaving its magic over people with its rustic charm, traditional cuisine, music, and unspoilt countryside. Peter Stringfellow recently bought a home here. Pop star Katy Perry spent a few days with friends on Capri and the Amalfi coast this summer. She spent an afternoon in the town of Amalfi taking photos and dined at a waterside restaurant. Capri has long been popular with the rich and famous and in recent years Kate Moss, Tiffany Trump, John Legend, Beyoncé and Jay Z have enjoyed holidays there. You’ll need a few million to spare to buy a house on the island of Capri, but the villas and views are amazing. In May, Barack and Michelle Obama arrived in Tuscany for a six-day holiday at a luxury Tuscan estate owned by John Phillips, a former US ambassador to Rome. Mr Phillips bought an entire hamlet and turned it into a sumptuous luxury resort called Borgo Finocchieto. It is an inspiration for anyone considering renovating a Tuscan country house. During their stay Michelle Obama went shopping in Montalcino while her husband played golf at Castiglion del Bosco. Together they visited Siena and its impressive Duomo (Cathedral). You can find apartments and townhouses in Montalcino for around €200,000. Leonardo DiCaprio is another Hollywood actor who’s been seen in Tuscany. It is said that he owns a penthouse in Verona with a view of the arena, costing nearly four million euros. When Ed Sheeran bought a house in Umbria earlier this year he was quoted by the local press as saying that Paciano villa would be an ideal place to raise his children if he ever has them. Gwyneth Paltrow would probably agree that Umbria is a great place for children as she brought her own children and their friends to a lakeside property in the region. The English actor Kit Harrington, otherwise known as Jon Snow, in the TV series Game of Thrones, has fallen in love with Naples after his visit there in March to film a commercial for Italian fashion house Dolce & Gabbana. Local fans gave him a warm welcome chanting “King of the North” and old ladies grabbed his cheeks. He was back in Italy again in July for the Giffoni film Festival, where he was greeted by thousands of fans. Dolce & Gabbana, also introduced the delights of Italy to the boy band “5 After Midnight”, who have been personally invited twice this year to perform at the extravagant parties thrown after the D&G fashion shows in Milan and Sicily. Kieron Alleyne even returned to Sicily last week to enjoy a holiday. When you live in Italy you don’t need to be financially wealthy to enjoy the luxury of Italy’s beauty, it is everywhere you look. There is still time to spot the A -listers posing on the red carpet in Italy this summer as the Venice Film Festival gets into full swing next weekend. Fans will be hoping to see George Clooney, Matt Damon, Helen Mirren, Donald Sutherland and Michelle Pfeiffer hopping into gondolas at the gala’s 74th edition. When you live in Italy you don’t need to be financially wealthy to enjoy the luxury of Italy’s beauty, it is everywhere you look. Wealth and happiness is in being able to wake up every morning and look out of the window at the land you love.